Flemming Besenbacher is a professor of nanoscience at Aarhus University, and he was the founding director of the Interdisciplinary Nanoscience Center (iNANO) from 2002 2012. 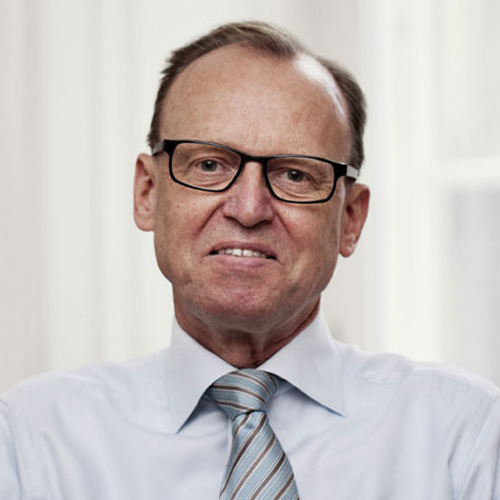 Prof. Besenbacher is chairman of the Carlsberg Group, the Carlsberg Foundation,and Aarhus Vand A/S. Prof. Besenbacher is also deputy chairman of Innovation FundDenmark, board member of Unisense A/S and Lendager Group, and sits in the board of representatives of NRGi Elsalg A/S. In 2016, Prof. Besenbacher was appointed both chairman of the Danish government’s Advisory Board for Circular Economy, member ofthe Danish government’s Digital Growth Panel, and member of the Danish Ministry of Taxation’s advisory panel for succession planning in commercial foundations. Prof.Besenbacher sits on several advisory boards related to the UN Sustainable DevelopmentGoals and he is chairman of the non-profit organization UNLEASH. Prof. Besenbacher is an international leading scientist within the field of nanoscience having published more than 700 scientific articles in international journals and he is one of the most cited Danish scientists. Prof. Besenbacher is honorary doctor at 16 Chinese universities, and he has received several distinctions in Denmark and abroad for his research, for instance “The Chinese Government Highest International Scientific and Technological Cooperation Award” of the People’s Republic of China. He is foreign member of the Chinese Academy of Sciences(Academician) and holds the title of Commander of the Order of Dannebrog. To find out the schedule for Flemming Besenbacher’s participation, click on the detailed description page.